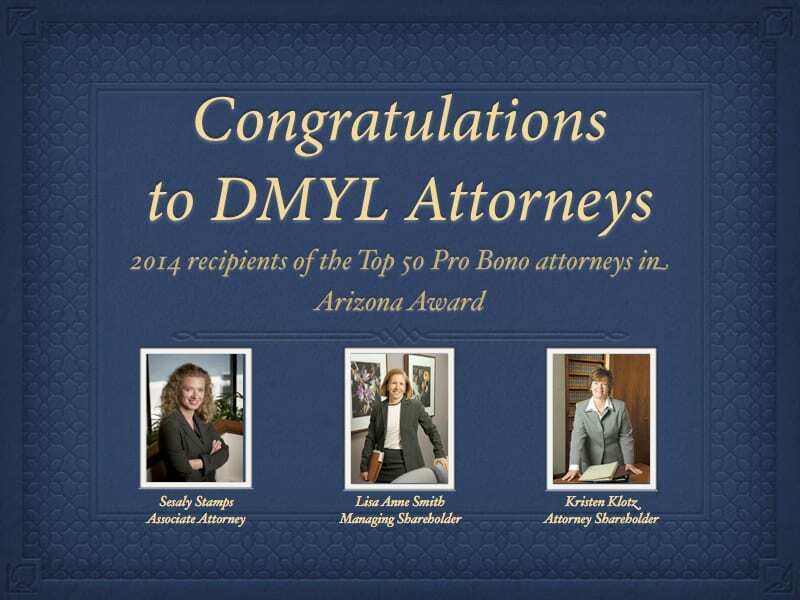 The Law Offices of DeConcini McDonald Yetwin and Lacy is proud to announce attorneys Kris Klotz, Sesaly Stamps, and Lisa Anne Smith, as the 2014 recipients of the Top 50 Pro Bono Attorneys in Arizona Award. This honor is awarded by the Arizona Foundation for Legal Services and Education. The attorneys were nominated by Southern Arizona Legal Aid Volunteer Lawyers Program. The Foundation instituted this award in 2001 to recognize attorneys who have tirelessly given their time and expertise to assist Arizonans who would otherwise have no legal resources.